Jigsaw puzzles have been a New England tradition for years. It’s very common for our customers to tell us stories about growing up with their parents working on puzzles, having a jigsaw on the table over vacations and holidays, and how they are enjoying the activity now with their parents, children, and loved ones. Whether taking a break from the cold or stuck inside in a snowstorm, a jigsaw on the table is the perfect way to weather the winter season! Here is a quick guide to jigsaw puzzle piece shape, image, and quality to help you get started. Piece shape can be a deal breaker for many people. Some puzzles are cut with a more regular shape (like our own Diversions puzzles, Ravensburger, and Clementoni), and some companies offer a more irregular cut (White Mountain, New York Puzzle Company, and Springbok). Depending on how your brain works, you may find one style easier or harder. The style of image is truly personal. Many people love collages, like the White Mountain puzzle, while some prefer cartoons (check out Ceaco), photographs of landscapes (Eurographics), country images (Cobble Hill), fine art (Pomegranate), or fantasy (Heye). Most puzzle brands have a wide range of images to select from, each with their own unique style. Puzzle quality is somewhat subjective but there are a few stand-outs. Wooden puzzles, such as Wentworth and Artifact, are truly a unique experience and of heirloom quality. You’ll find Ravensburger at the top of most quality lists, and here at Diversions we love Pomegranate for their linen-style finish. Brands like Ceaco and Masterpieces are a good value for your money. 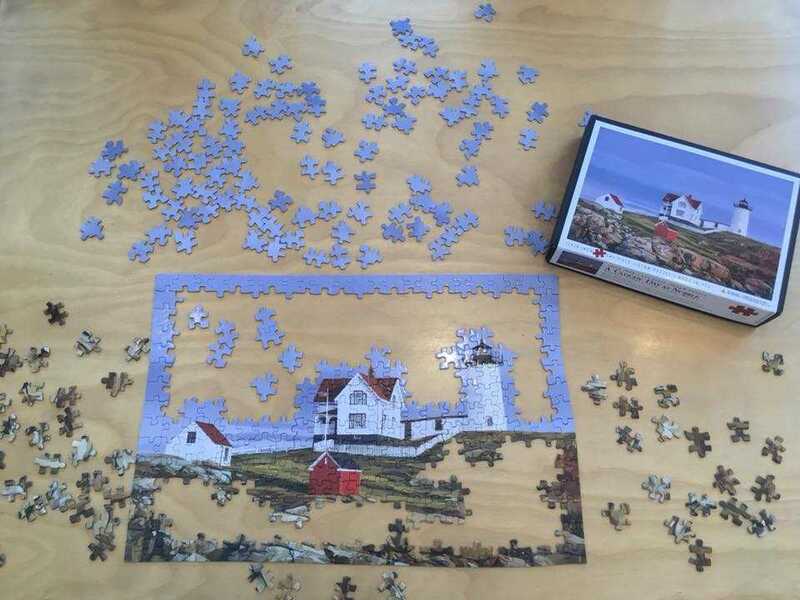 We believe in the quality of every brand we carry, and while some are more economical than others, you can feel confident that you’re purchasing a puzzle that will feel good, look great, and be enjoyable. Our puzzle inventory changes constantly, and the first few months of the year is when most puzzle companies release new images, so be sure to stop in soon to check out our selection!